Knockout Hair...in 30 seconds or less! 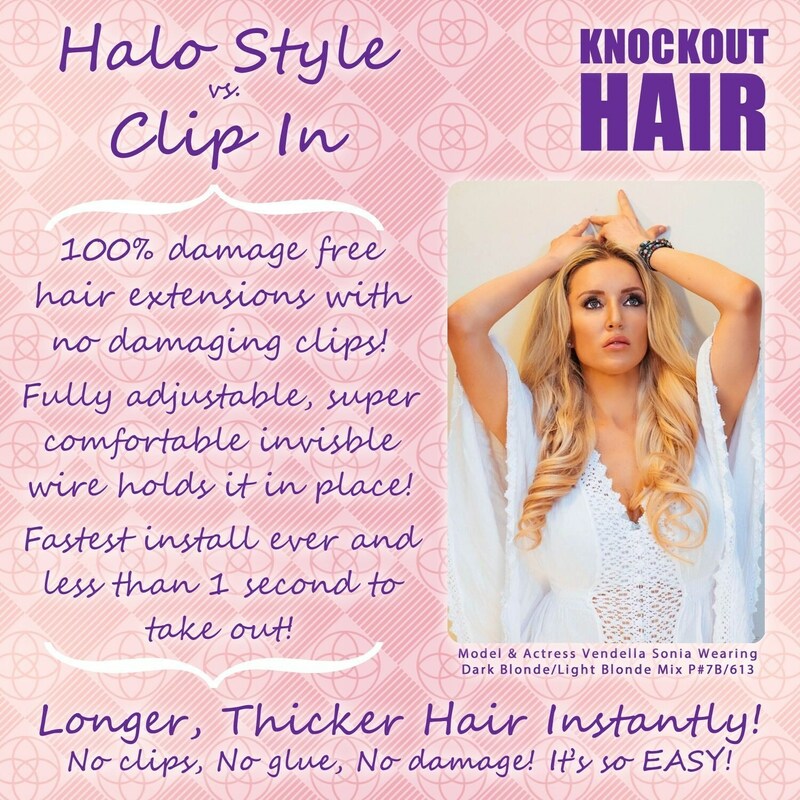 Halo Hair Extensions are one of the most amazing, fun and innovative products you will love to wear! Using 100% Premium Human Hair. 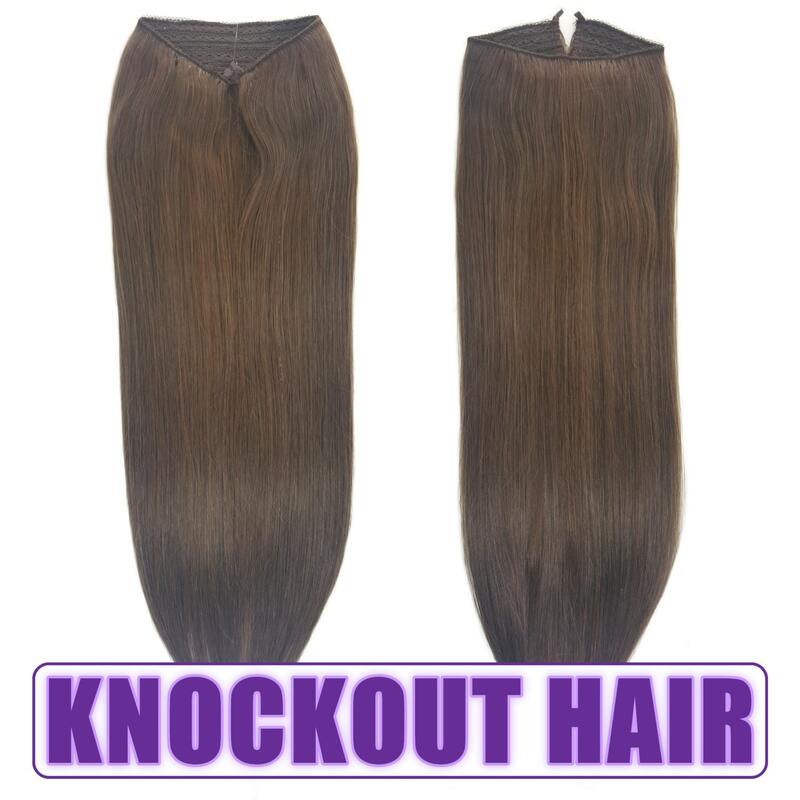 Knockout Hair is amazing in quality and the simplest and quickest extensions to apply! 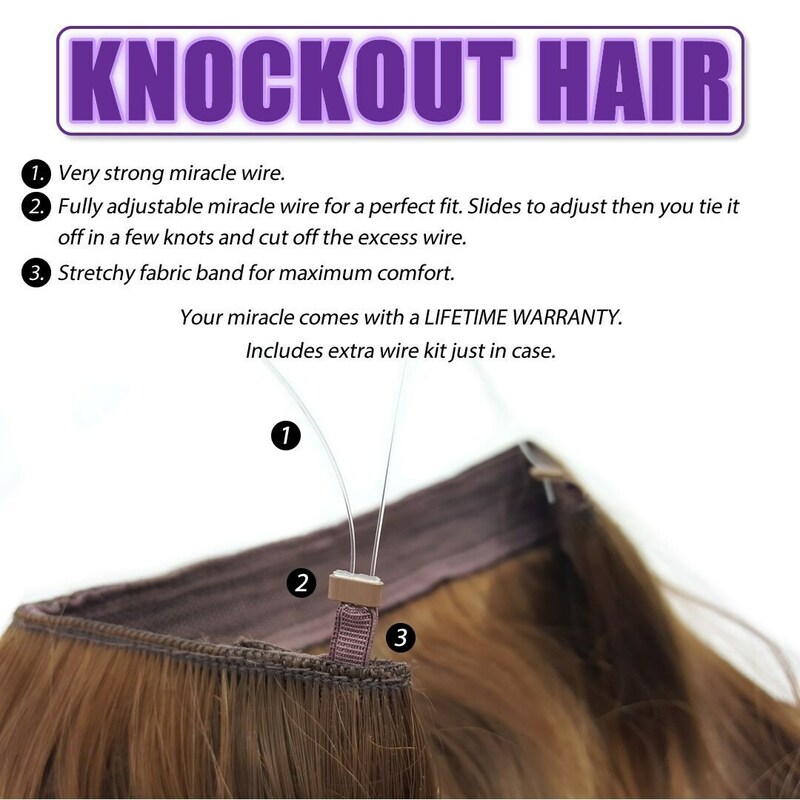 Using an adjustable miracle wire, every customer can be sure that their Knockout Hair will be a perfect fit every time! 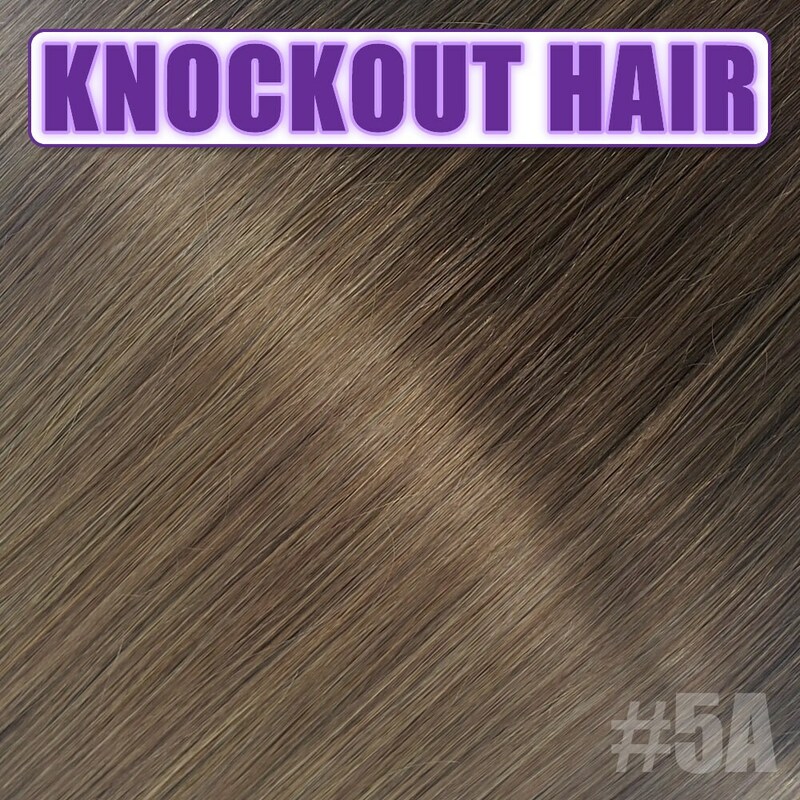 Knockout Hair is worn by it being placed on your head, with your own hair pulled through and over the miracle wire. 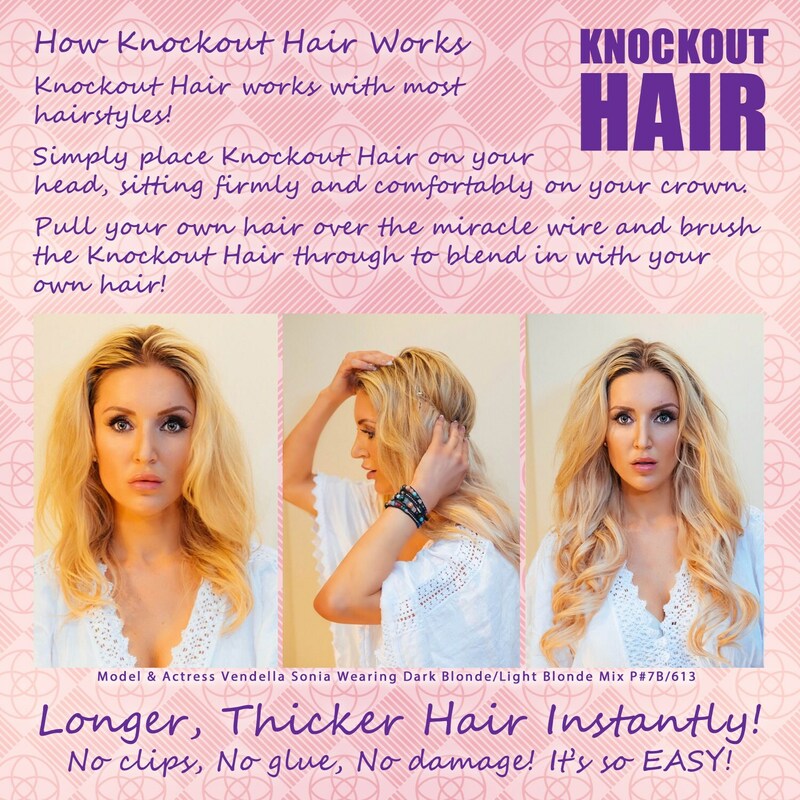 You'll quickly discover why Knockout Hair is an award winning design! Because this is human hair, returns/Exchanges will only be accepted if security ties are not removed from the hair and in original packaging. Buyer must contact us within 7 days for return and hair must be unworn and in it's original secure packaging. One free color exchange offered within 7 days from receipt. No returns/exchanges accepted after 7 days.